Apartment in front of the beach, 3 suites, living room and American kitchen. 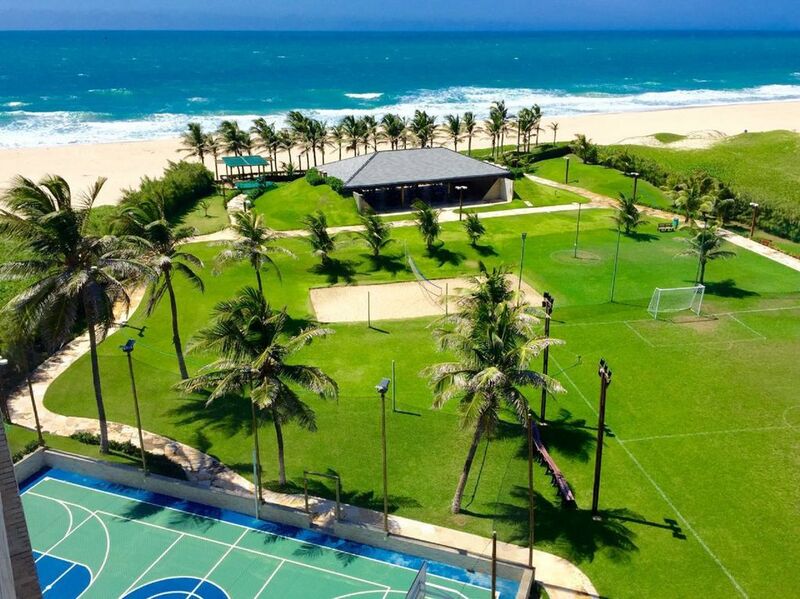 Located in Porto das Dunas, Aquiraz, Ceará, the Scopa Beach Resort is the ideal environment for you to do everything or nothing and relax with a heavenly view! Without a doubt the best beach resort in Beach Park. Condo on the sand with beautiful view to the best area of the Port of Dunas Beach, 3 suites with double bed and air conditioning, toilet, TV room, dining room and American kitchen. Large leisure area with adult pool, children's pool, deck with gourmet space, barbecue area, children's play area, soccer field, slackline, beach volleyball court, basketball court, futsal, private beach tent, private restaurant inside from the resort, all 50 meters from Beach Park. Great choice for spending a holiday or a season with family and friends. 3 full bathrooms and 1 half bathroom.